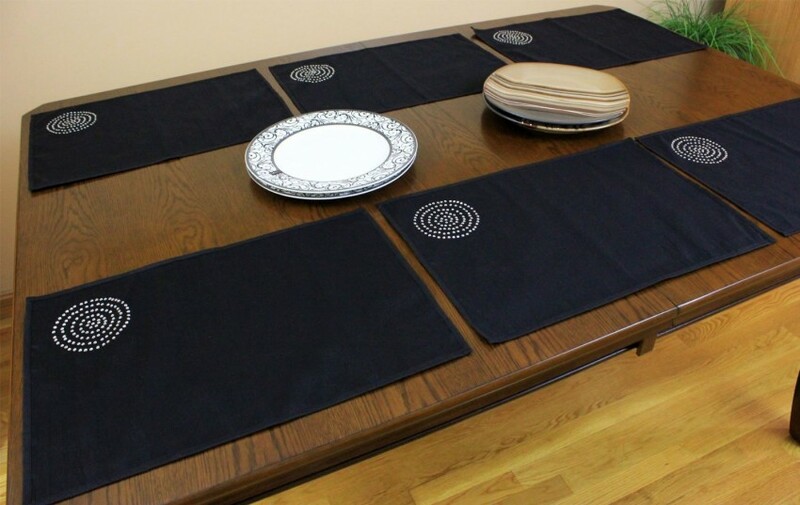 Classically designed placemat set with a modern twist adds an extra special touch to any dining area. 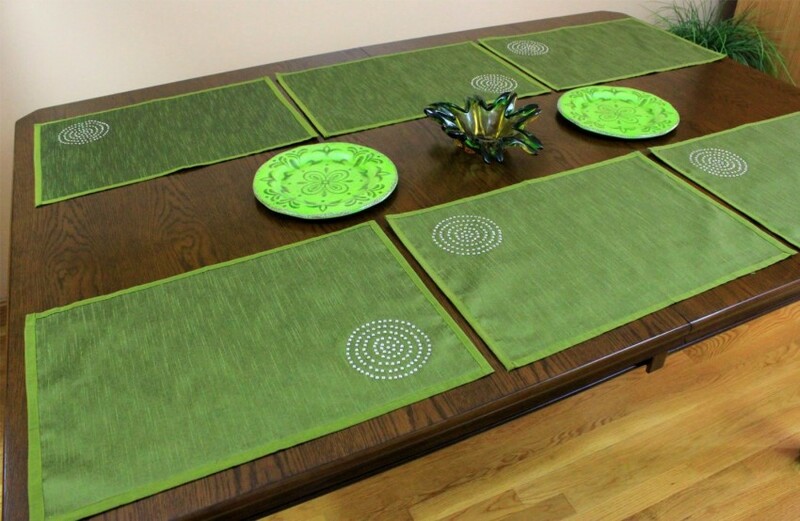 This brightly colored set of six placemats features a very unique hand-embroidered stonework circle in the upper left hand corner. Each stone is carefully set one by one, allowing light to reflect in just the right way to take the look of your dining room table to a whole new level. Shimmering Spiral Hand Embroidered Placemats come in a variety of vivid color options to match the theme of your room and to bring elegance and sophistication to your dining area. Additionally, the sparkly spiral design adds a touch of whimsical and chic style. 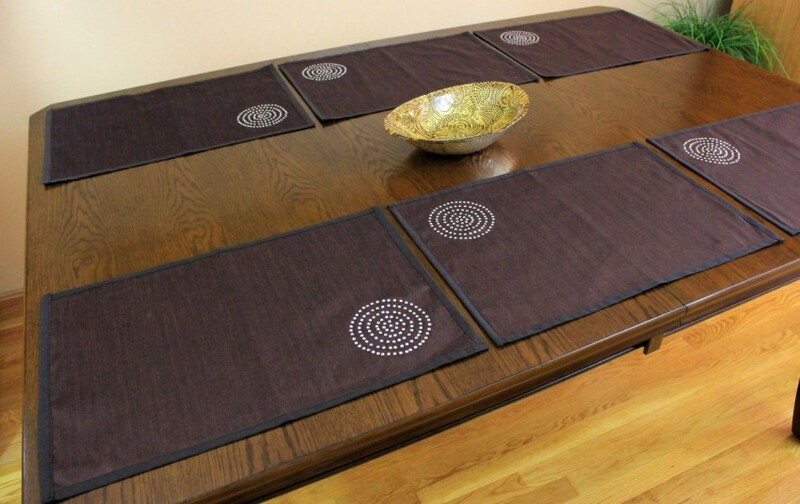 This placemat set is an excellent choice any time you want to impress your guests or simply decorate your dining table. Setting the table has never been more fun!